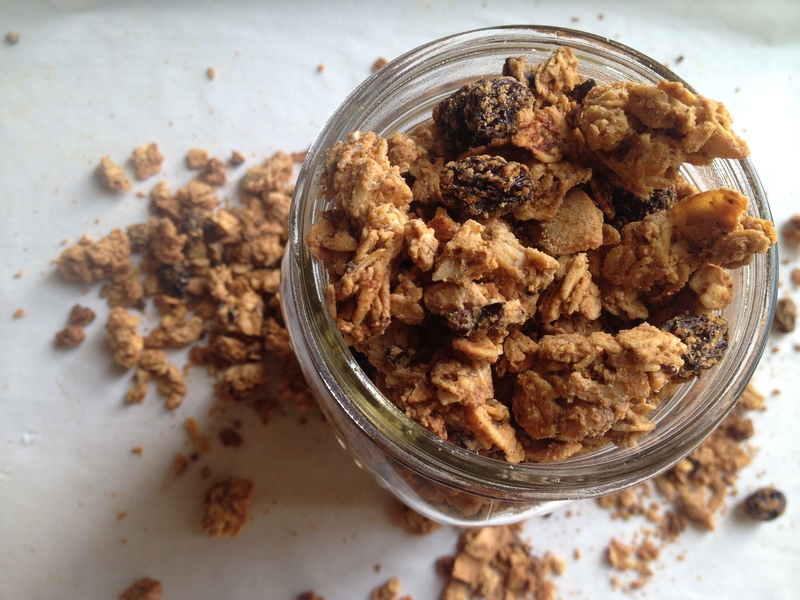 We LOVE granola, but it’s a struggle to find one we can eat without spending an arm and a leg. Making your own not only saves you money, but you can also easily change up the flavor and texture. This time around, I was on a mission to create one that was not only full of flavor, but also oil-free. Here’s a recipe that will leave your house smelling like fresh-baked cookies….yum! *For those who are also nut-free, you can omit the chopped walnuts/coconut flakes or replace them with seeds instead. 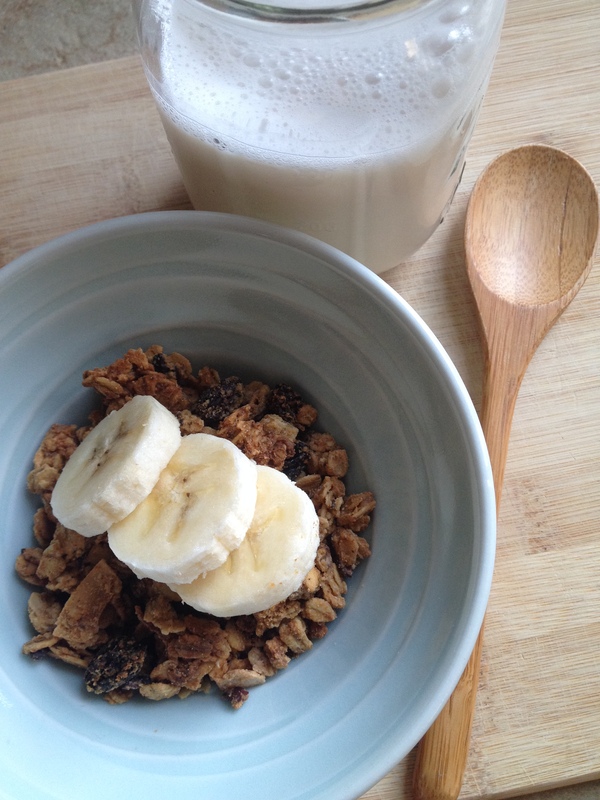 In a medium size mixing bowl, combine the oats, walnuts, coconut flakes, cacao nibs, vanilla, and salt. Next stir in the nut/seed butter and maple syrup. Stir until everything sticks together and is well combined. 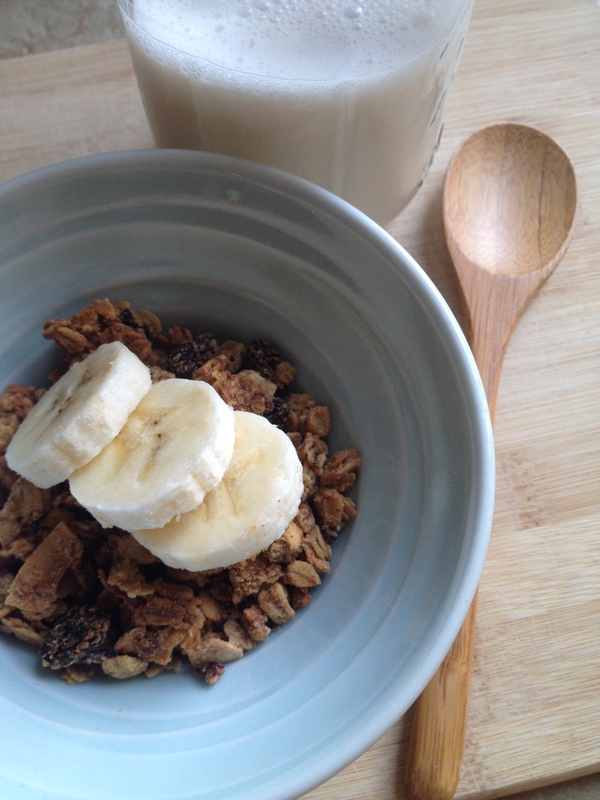 On a parchment paper-lined baking sheet, place the granola mixture down evenly – using a spatula to lay it down flat. 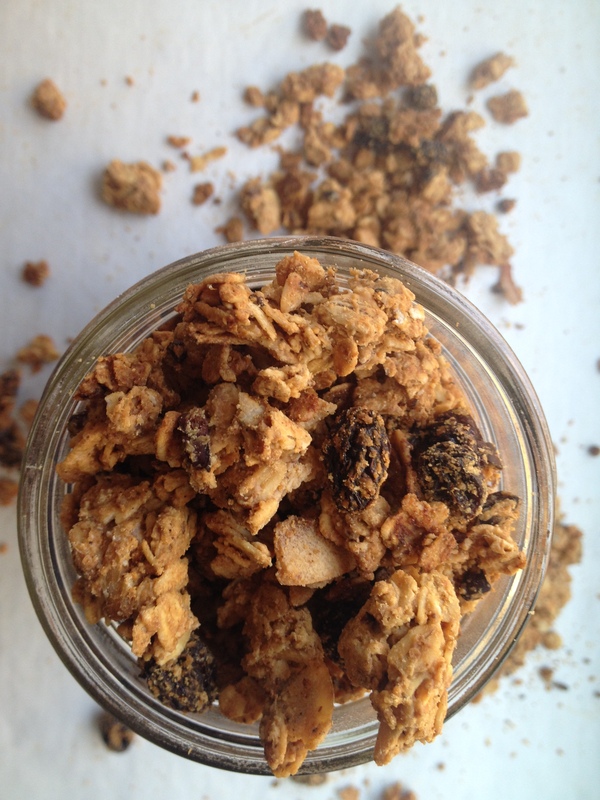 Bake for 15 minutes, then stir the granola around and bake for another 10-15 minutes. You’re looking for a golden brown color. Remove from oven, stir in your choice of dried fruit, and then let it cool for at least 10 minutes. It’s slightly sweet and peanut-buttery with pops of cacao crunch. It’s a great snack or you can enjoy it with some milk or yogurt for breakfast. We love to use it as a topping for our smoothie bowls, too! 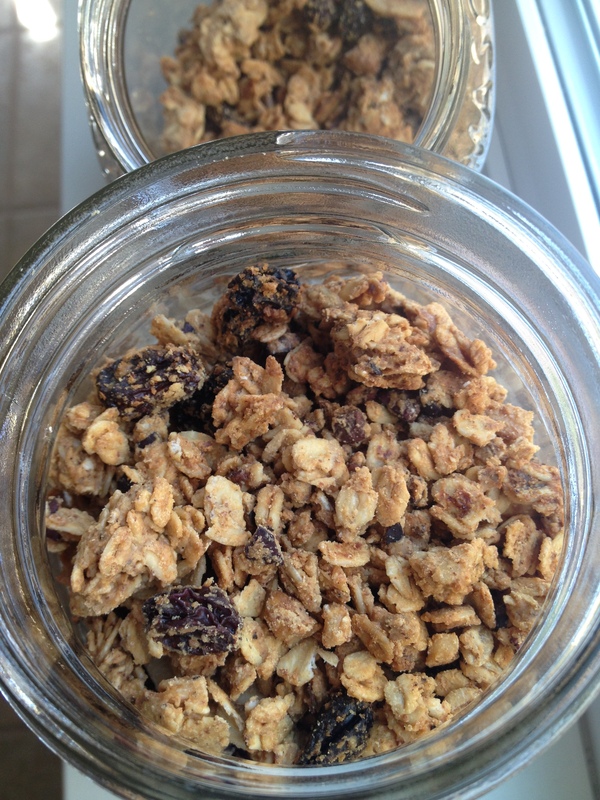 Once the granola is completely cooled, store it in glass jars or containers for optimal flavor.